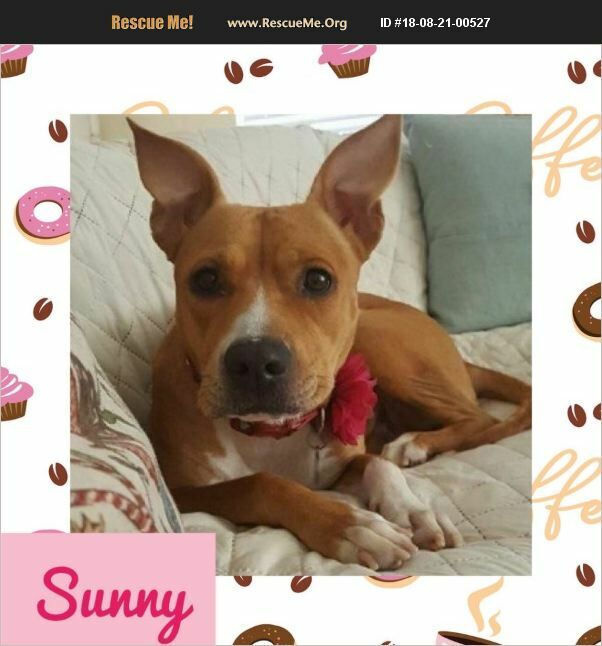 Our BEAUTIFUL Sunny is a 62 lb terrier/lab mix born in 2015. Poor girl was found as a stray and gave birth to 10 gorgeous puppies who were all adopted. Now it's her turn to find her forever. Sunny has gone through training and would be best with an assertive, experienced owner. She is strong and protective but equally INTELLIGENT and LOVING. A training session will come with her adoption to assist with making it the smoothest transition for her and her new family. She needs to go to a home with a secure yard and no children. She is not a fan of kitties unfortunately. She is selective with other dogs would probably be best as an only pup. Sunny is looking for a patient human, ready to give her the love she deserves. If anyone would like to give this adorable pup a forever home, please download an application through: PAWPATROLANIMALRESCUE.COM All who wish to adopt from PPARAS MUST fill out an application. APPLICATIONS ARE SUBJECT TO APPROVAL. Reference checks & home visits will be conducted.